Redmi S2 was launched in China by Chinese manufacturers Xiaomi last week as part of Redmi S-series. And now it is slated to reach the Indian market as a Redmi Y2 as soon as June 7. Xiaomi has released a tease of the smartphone through its social media handles in its home country. The smartphone teaser does not reveal any of the features of the phone but calls it’s the best selfie phone in the market. Notably, the Redmi S2 was teased as the best smartphone to click a selfie with, thanks to its Artificial Intelligence (AI) proprietary features and a new front-facing camera sensor that comes in a 2-micron pixel size. The smartphone competes against the like of Asus ZenFone Max Pro M1 and Honor 9 Lite. 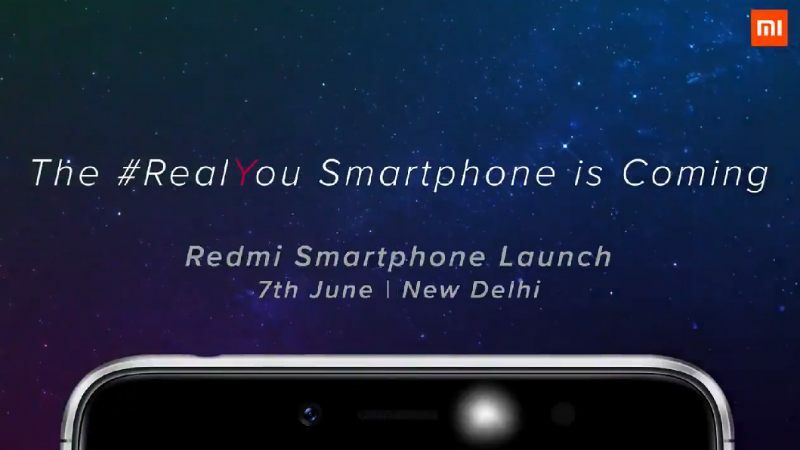 As per the details which have been launched in the Teaser in India through Redmi India Twitter handle on Monday, the launch is set to be on the date of June 7 in New Delhi. The company has used the hashtags of #FIndYourSelfie and #RealYou and has used the letter Y which is highlighted. All this points to the launch of the Redmi Y2 which was a successor to the Redmi Y1 which was launched in November with selfie-centric features, including an LED selfie-light. Instead of bringing together another smartphone to sell in India, Xiaomi is looking to sell its Redmi S2 as the Redmi Y2 in India. As the Beijing based company had pointed out that the phone is considered to be the best selfie phone in the market, that is enough to tell us whats cooking in the back of the whole scenario. The Redmi S2 comes in a 3GB RAM and 32GB onboard storage comes with a price tag of Rs 10,600, while the 4GB RAM and 64GB onboard storage comes at a price of Rs 13,700. Both variants will come up on sale in China starting May 17 in Champagne Gold, Platinum Silver, and Rose Gold color options. On the specifications front, the dual-SIM (Nano) Redmi S2 runs Android-based MIUI 9 and features a 5.99-inch HD+ (720×1440 pixels) display with a 70.8 percent NTSC color gamut. The phones comes powered by the Snapdragon 625 SoC, along with a 4GB of RAM, and has a dual-camera rear setup with a 12-megapixel primary sensor and a 5-megapixel secondary sensor. Along with that the phone comes with a 16 megapixel front camera with sensor which supports features such as AI Portrait Mode, AI Smart Beauty, Front HDR, and Face Unlock. There are two storage options – 32GB and 64GB, that both are expandable via microSD via a dedicated slot. Another important features of the phone is that it has a dedicated microSD card slot to separately give users the space for two SIM cards. The Redmi S2 also has a 4G VoLTE, Wi-Fi 802.11 b/g/n, Bluetooth v4.2, GPS/ A-GPS, 3.5mm headphone jack, and Micro-USB port and packs a 3080mAh battery.